“What must I do to be saved?” Surely, this is one of the most basic questions that must be answered by any religion. Most Christians are aware that Jehovah’s Witnesses are laboring under a works-based system. Most have heard of the Witnesses aversion to blood transfusions, celebrating of holidays and participating in politics. Few, however, are fully aware of the intensity of the burden under which the average Witness labors in the hope of appeasing Jehovah and being allowed to live forever in his kingdom. In this article, we will attempt to flesh out the Watchtower’s teaching regarding what is necessary for eternal life. In understanding the Watchtower concept of salvation, one must first realize that it is a two-tiered system. That is to say that there are two distinct groups within Jehovah’s organization and these groups are saved differently. The second class is often referred to as the “other sheep” or the “great crowd.” This group comprises the vast majority of Witnesses. Based on their works as well as their connection with and faithfulness to Jehovah’s organization, they are given the opportunity for eternal life on paradise earth after Armageddon and the Millennial reign of Christ. Obviously, this teaching flies directly in the face of Jesus’ words in John 10:16: “But I have other sheep that are not of this fold; I must bring them also, and they will listen to My voice. Then there will be one flock, one shepherd.” Though the Watchtower actually attempts to use this verse to justify its “other sheep” doctrine, a careful look at context renders this impossible. The Watchtower has established two different flocks—the exact opposite of what Christ claimed he was going to do. With this as a background, we can now begin to discuss what the average Witness believes she must do in order to inherit eternal life. So, for the JW, faith becomes the starting point to a life of effort to earn Jehovah’s favor. At this point, the convert now begins a life of slavery to the organization. “After you have made your dedication to God, he will expect you to live up to it. So prove that you are a person of your word by sticking to this decision, or dedication, as long as you live.”8 Now the work really begins. All of the activities of the Witnesses are done with the goal of becoming approved by Jehovah in order to gain eternal life on earth. It should be noted that there is no complete list given anywhere by the Watchtower that tells a person exactly what he is expected to do in order to achieve eternal life. As if that were not unsettling enough, the Witness faces another issue. He also can never know when he has done enough of any particular activity. So, not only is the Witness unsure of exactly all he must do, but also of how much of each item must be done in order to please Jehovah. This means that the average Witness lives in a constant state of uncertainty and anxiety over his own salvation. The message is clear. Even the “hardworking” Apostle Paul was not completely confident that he had done enough to be sure of his salvation; so you cannot be either. It cannot be stressed too strongly that this obedience is to be given even if the follower’s own mind and conscience are offended. Witnesses who voice disagreement with the organization risk excommunication. Removing oneself from false beliefs. It is important that the follower rid himself of any beliefs the organization considers incorrect. The booklet, What Does God Require of Us?, lists the following as beliefs and customs that must be avoided: The Trinity, Christmas and Easter, Birthdays, Fear of the Dead, and the Cross.13 Obviously, honoring the true name of God is also a must. Respect for Life and Blood. Most people are aware of the JW sanctions against blood transfusions. They may not be aware that this extends even to the person’s own blood that has been stored.14 Also covered under this requirement of respecting life and blood would be sexual purity, abstinence from tobacco products, temperance, etc. Other requirements. The list of requirements for the Jehovah’s Witness becomes mind-boggling. In addition to requirements for monthly witnessing, attendance at meetings, refraining from political involvements (including voting, saluting the flag, saying the pledge or joining the military), and avoiding harmful associations, nearly every area of life is covered. While many of the things that the Watchtower advocates are similar to legitimate Christian practices such as chastity, clean speech, etc., it must be kept in mind that the motivation is vastly different. For the Witness, all of these things must be done in the hope that Jehovah is pleased enough to allow the individual into the kingdom. So If I Do All of That, I Make It, Right? Not exactly. The dirty little secret is that even if the individual makes it into the kingdom they are not home free. According to Watchtower theology, the individual in the kingdom must continue in righteousness during the 1,000 year reign of Christ, referred to by Witnesses as “judgment day.” This is a time of further proving to determine who will live under Jehovah’s reign. Many will be annihilated during the millennium. Those who obey all of Jehovah’s commands given in the Bible as well as the additional instructions found in the scrolls (inspired writings with instructions not found in the Bible which will be opened at that time—something JWs believe based on their understanding of Revelations 20:12-13) will “receive the benefits of Christ’s ransom sacrifice, and they will gradually grow to human perfection.”15 So, if you are approved by Jehovah to enter the kingdom, you now must persevere for another 1,000 years! Jehovah’s Witnesses, like those in any other works-based group, desperately need to hear the message of grace. Though there is no “sure-fire” method for witnessing, some suggestions might prove helpful. First, build on the Witnesses’ uncertainty of trying to earn Jehovah’s favor. Question the Witness regarding his ability to know when he has done enough. In other words, when he lays his head down at night, how does he know if he has done enough of each activity that day? If he cannot know if he satisfied Jehovah even for a single day, how can he know about an entire life? 1 John 5:11-13 is helpful at this point. No honest Jehovah’s Witness can tell you that he knows he has eternal life as this text says he can. Tell the JW that you know that you have eternal life because you have fully complied with God’s requirements for receiving eternal life. John 1:12 teaches that we must receive Christ for salvation. It is his righteousness and not our own that secures our salvation (Phil. 3:9). Share with the JW John 5:37-38; John 6:28-29; and Eph 2:4-9 which make it clear that our works do not save us. Indeed, to attempt to earn salvation by works is in direct disobedience to God’s commands. Another passage that may prove helpful at this point is Hebrews 10:14 which states, “For by one offering he has perfected forever those who are being made holy.” Emphasize that as a believer in Jesus, you have been given the perfection for which the Witness is so diligently laboring. Note: this is not the time to talk about your ongoing struggle with sin. 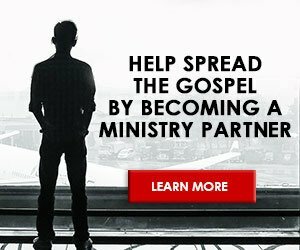 This is the time to emphasize the imputed righteousness of Christ. Notice that the verse says that by Christ’s offering we are perfected forever. Lovingly, patiently, drive that home. In my own encounters with Witnesses I have said something like this: “I see you working so hard and hoping desperately that you have done enough and that Jehovah is finally pleased and knowing that tomorrow you have to go through the process again. But in Christ we can be given the righteousness that is pleasing to Jehovah and we can have peace with him.” Jehovah’s Witnesses can never truly know peace with God. They live daily under the unbearable burden placed on them by the Watchtower. Second, it may also be necessary to explain how a true understanding of grace does not lead to a life of sinfulness. I have used the illustration of the obedience given to a loving father. The child obeys, not in order to earn the love and relationship with the father, but in response to it. Finally, and above all, pray. Salvation is a miracle of God. Only God can open eyes blinded by the god of this world. Only God can cause those who are dead in sin to live. Former Jehovah’s Witness, Joan Cetnar says this, “Talk to God about the person more than you talk to the person about God.” Words worth remembering. Keith Gibson is founding pastor of Word of Life Community Church in Kansas City, Missouri, and the director of ARC’s Kansas City Office. 1 Ron Rhodes, Reasoning from the Scriptures with the Jehovah’s Witnesses (Eugene, Oregon: Harvest House, 1993), 254. 2 “What Must We Do To Be Saved?” Online article on the official Watchtower website: www.watchtower.org/library/w/1996/2/1/what_ must_ we_do.htm. 4 What Does God Require of Us? (New York: Watchtower Bible and Tract Society, 1996), 31. 5 You Can Live Forever on Paradise Earth (New York: Watchtower Bible and Tract Society, 1982), 251. 6 Knowledge That Leads to Everlasting Life (New York: Watchtower Bible and Tract Society, 1995), 175. 10 Watchtower (February 15, 1967): 124. 11 Qualified to be Ministers (New York: Watchtower Bible and Tract Society, 1967), 156. 12 The Watchtower Magazine (Feb. 1, 1952): 80. 13 What Does God Require of Us?, 22-23. 15 You Can Live Forever on Paradise Earth, 181.